Col. Chris Hoffman, commander, 48th Chem. 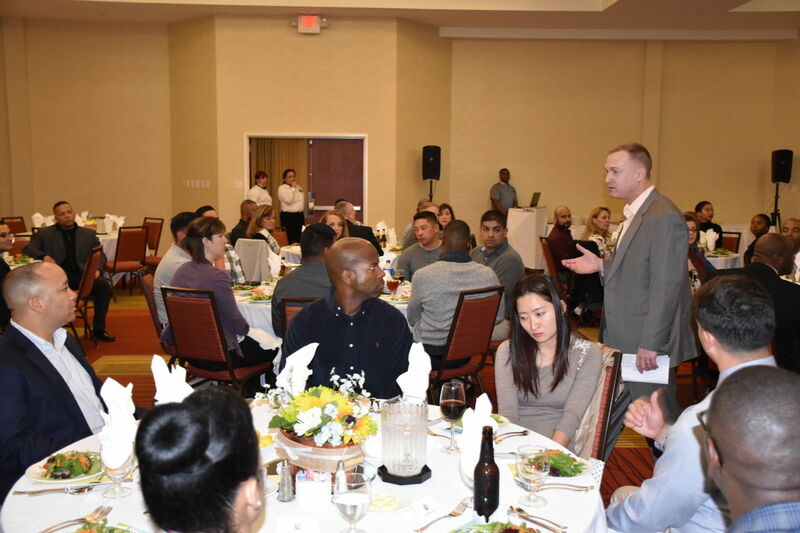 Bde., welcomes more than 100 attendees of the inaugural meeting of the Lone Star Chapter of the Chemical Corps Regimental Association Friday evening. Killeen — The Lone Star Dragon Chapter of the Chemical Corps Regimental Association held its inaugural meeting in the Grand Ballroom of the Marriot Courtyard hotel here Friday evening. The chapter, with more than 80 members and hoping to grow, draws its members from Army Chemical Corps Soldiers, retirees and veterans from throughout the state according to the chapter’s president, retired Col. Mike Brown. Brown said the establishment of a Chemical Corps association chapter in the Fort Hood area, home to the 48th Chemical Brigade, provides a means to connect today’s troops with those who went before them, Army veterans and retirees, so that past lessons learned aren’t lost through the years. 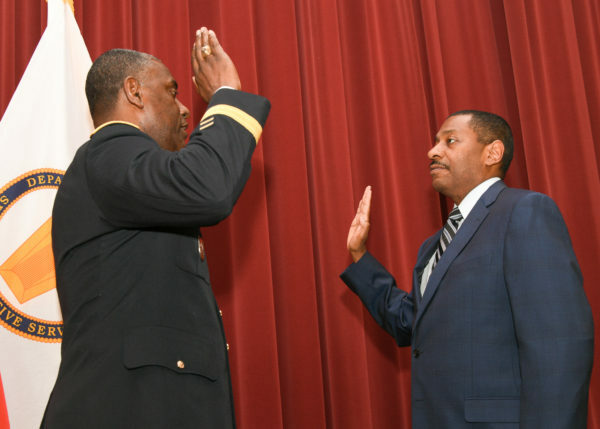 He added that the chapter, with three distinct districts – Fort Hood, San Antonio and Fort Bliss – also plans to do all it can to assist Army Families within its ranks. 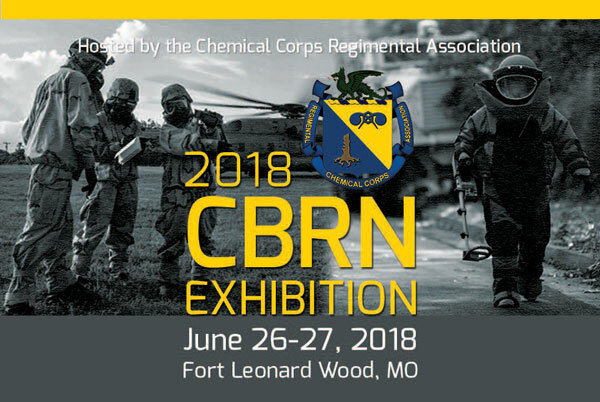 The national headquarters for the CCRA is located at Fort Leonard Wood, Missouri, also home of advanced individual training for Chemical Corps Soldiers. While a Texas chapter had been in the discussion phase for several years, 48th Chem. Bde. Commander Col. Chris Hoffman helped turn those discussions into a reality here Friday night. Retired Command Sgt. Maj. Jackeline Fountain, the chapter’s district vice president for the Fort Hood area and a Harker Heights councilwoman, agreed with Hoffman’s assessment, saying it was time for the chapter to launch. Following a meal, Brown joined the youngest Soldier attending, Spc. Zackary Edwards, 21, a human resource specialist with Headquarters and Headquarters Company, 48th Chem. Bde., to cut the cake commemorating the event with a saber. While attendees ate cake, six members were called to the front of the ballroom for induction into the Order of the Dragon. 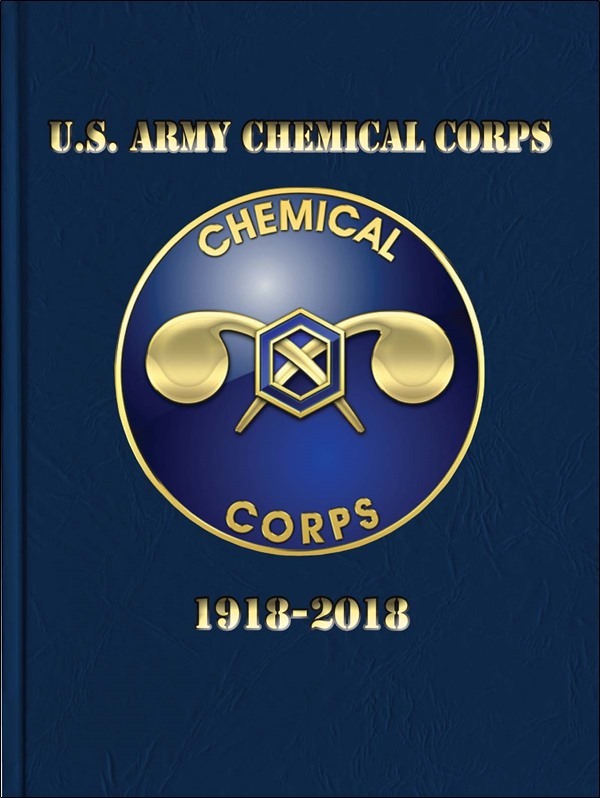 The CCRA awards individuals this honor for demonstrating “the highest standards of integrity and moral character, an outstanding degree of professional competence, and have contributed to the promotion of the Chemical Corps in numerous ways over the course of their career,” according to the association’s website. In order to be inducted, an individual must be nominated by a member of the order. Sgt. 1st Class Ebony McKinney was the most junior-ranking inducted into the order. The 19-year Army veteran, currently the operations noncommissioned officer for the 48th Chem. Bde.’s operations section, said she was elated at her induction, and a bit surprised. During his closing remarks, Brown said this first gathering is just the beginning, with plans in the works for future professional development events discussing lessons learned from past conflicts and transition assistance and networking sponsored by the Lone Star Chapter with Fort Hood Chemical Corps troops.